This latest game in the first-person shooter series takes place during World War II and it returns to the roots of the series. 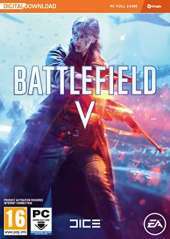 No matter which mode the players choose, during the game, the battles are fought on large scale, with a variety of weapons, vehicles, machines (including planes and tanks), and secret inventions. In the singleplayer story campaign, the players aren’t limited to a single protagonist. Similarly to the previous entry in the series, the developers are presenting a few separate stories as part of the War Stories. One of the protagonists is a woman that belongs to the German resistance and fights the Nazis. The greatest novelty is Combined Arms – a cooperation mode for up to four players who assume the roles of paratroopers working behind enemy lines. The action takes place on procedurally generated maps. As usual in the series, it features a multiplayer module with various competitive gameplay modes. Grand Operations is the most important mode – it features battles split into a few phases. The players must complete various tasks on dynamically changing maps. The players assume the role of soldiers of various specializations (medic, scout, support, trooper) and they participate in battles in Africa, Rotterdam, France etc. Fortifications are the greatest change – they enable players to construct defenses and place heavy machine guns. In addition to that, the health bar was split into a few segments – the life regenerates only within a segment. Healing a fallen companion takes more time than usual, but he can be treated by each party member – a medic isn't necessary. Another important novelty is the fact that the look and equipment of characters can be modified through the Companion system. The players can determine the gender, face, face paint, clothes, accessories, skins and accessories for weapons. The improved movement system enables the players to throw themselves in various directions during shoot-outs and, for example, keep shooting while lying on the ground. Each weapon now features a different recoil scheme. The developers modified the amount of ammunition (the base number is enough only for a few shootouts, but there are chests with supplies on the maps) and grenades (their numbers were limited, but they can be thrown back at the opponents or destroyed with an accurate shot).